Three significant touring car champions will race each other for the first time at WTCR Race of Germany. 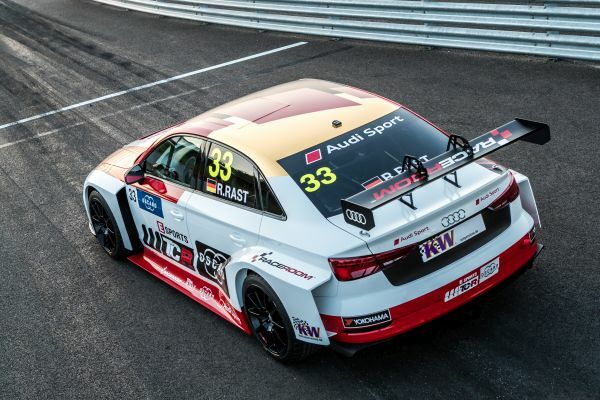 René Rast, DTM champion in 2017, will join the packed WTCR grid as a wildcard entrant, racing an Audi RS 3 LMS under the Audi Sport Team WRT banner. It will mean the current WTCC, TCR International and DTM champions will race against each other for the first time with Thed Björk and Jean-Karl Vernay also in action at the Nürburgring Nordschleife. Other touring car champions racing at the ‘Ring include Fabrizio Giovanardi, Rob Huff, Yvan Muller, Gordon Shedden, Gabriele Tarquini and James Thompson. Meanwhile, German-speaking Swiss Kris Richard will complete the wildcard entrants at WTCR Race of Germany. Winner of the FIA European Touring Car Cup in 2016, Richard is a highly-rated youngster and will drive a Honda Civic Type R TCR for KCMG. “This opportunity is absolutely great for me,” said Richard. After two events and six races, Gabriele Tarquini heads the WTCR OSCARO standings on the back of a win double in Morocco and a single triumph in Hungary, where he beat Hyundai-powered BRC Racing Team-mate and home hero Norbert Michelisz to victory. Michelisz trails ALL-INKL.COM Münnich Motorsport Honda driver Yann Ehrlacher and Yvan Muller in the table followed by Sébastien Loeb Racing’s Rob Huff and Thed Björk, who partners Muller at YMR. Huff’s victory in Race 2 at the Hungaroring was the first for the Volkswagen Golf GTI TCR in WTCR and means four customer racing brands (Jean-Karl Vernay won for Audi in Morocco, Ehrlacher triumphed for Honda in Hungary) have won in 2018. Meanwhile, in the battle for the prestigious Teams’ title, BRC Racing Team heads ALL-INKL.COM Münnich Motorsport and YMR. With a rulebook designed to promote corner-by-corner overtaking, a packed grid featuring four world champions and a host of national and international touring car title-winners, an abundance of young stars, three ex-Formula One drivers and seven customer racing brands, the stage is set for a thrilling spectacle at WTCR Race of Germany. 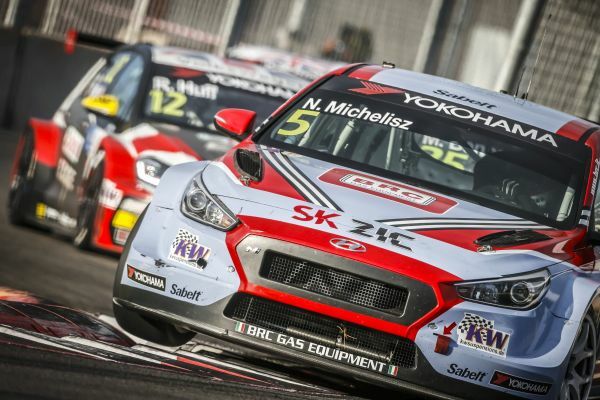 In an intriguing twist, WTCR – the new name for the WTCC – gets three races per weekend, plus a second qualifying session. There’s also the ground-breaking TAG Heuer Most Valuable Driver award, which goes to the racer scoring the most points during a weekend and live Race 1 coverage on Facebook and at OSCARO.com, website of the WTCR Series Presenting Partner partner and the world’s leading online retailer of original automotive spare parts. TAG Heuer is rewarding speed and achievement in the WTCR – FIA World Touring Car Cup presented by OSCARO. In addition to the popular TAG Heuer Best Lap Trophy, the TAG Heuer Most Valuable Driver will deliver a world first for circuit racing. The TAG Heuer Most Valuable Driver (MVD) brings an exciting concept pioneered in US sport to the all-new WTCR with the driver scoring the most points over a weekend receiving a prestigious TAG Heuer watch. WTCR drivers get four opportunities to score points over a weekend for finishing in the top five in Second Qualifying, plus in Race 1, Race 2 and Race 3. TAG Heuer’s support of the WTCR also includes the TAG Heuer Best Lap Trophy, which is presented to the driver setting the fastest lap between weekend’s three races. In addition, TAG Heuer is the Official Timing Partner of the WTCC and benefits from a number of promotional opportunities including trackside bannering and corporate guest programmes. Esports WTCR OSCARO is go!